Getting time away is a rare luxury when you are a caregiver. After a while, the idea of doing something alone can be foreign, if not entirely forgotten, for some caregivers. Many families I have worked with were overwhelmed by the idea of doing something for themselves. It is completely normal to feel guilty, even selfish, for leaving your loved one with professional companion care in order to get a few hours to yourself. Let that guilt go! These precious hours are necessary to both mental and physical health. Taking a few hours alone each day will allow you to refresh and reset, enabling you to be at your best when caring for your loved one. Getting time for yourself doesn't have to mean getting lunch with friends or catching up on your correspondence. Sometimes it is good to treat yourself and bask in the quiet alone time that is so rare. When it has been so long since your last day out, where do you even start? Recently it has been said that millennials are better at self-care than any other generation, and I want to share my favorite ways to indulge in guilt-free alone time. This is my personal go-to! My love for unique and vintage clothing means that slowly combing the racks at Goodwill is my favorite way to decompress. When was the last time you were able to browse and shop, rather than conquer your list and dash? It can be hard to do more than the bare necessities when you are shopping with the loved one you care for. Taking the time to browse a favorite store, explore everything Wegmans has to offer, or wander the mall can be a great way to enjoy yourself. If you don't want the pressure of conversation over lunch, you can still enjoy a meal out by yourself! There is plenty of people-watching to do downtown, or you can get something to-go and eat in a park if the weather is nice. 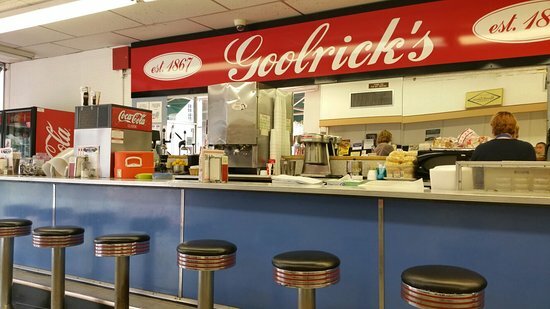 Goolricks is my favorite for solo-dining since they have a lunch counter and a big window looking out on Caroline St. It may seem out-dated, but a Library card will give you access to so many resources for your self-care time, and your loved one! 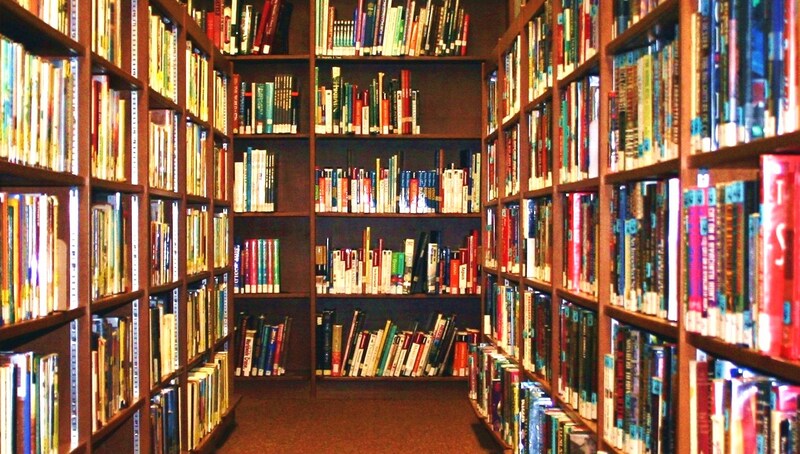 Aside from books, you can get audio books and DVDs. The Central Rappahannock Regional Library also has a vast selection of eBooks and magazines on their website. My favorite reads so far this summer have been The Swans of Fifth Avenue, The Paris Wife, and The Night She Won Miss America (I love anything set during the 1920s-1960s). Escaping into another life can be a great way to relax and get away for a few hours. A great follow-up to getting a library card! Take your newly acquired book stash to the coffee shop, or do some people watching over a foamy cappuccino. If you love coffee then you will feel an instant weight lift when you walk in and smell those delicious roasted beans. Most coffee shops also offer teas and smoothies too. In addition to reading, a coffee shop is a great place to mull over assisted living/memory care brochures or fill out paperwork and pay bills. Keeping those documents to yourself can be important if you are handling your loved one's finances and long term planning. Caregivers provide so much support every day. They need support too! There are all kinds of support groups for various types of care-giving. It may seem scary at first, but support groups are full of other caregivers just like you. They understand each others' struggles and triumphs. It's a safe place to vent and ask for help from those who have all been or will be in your shoes at some point. Look good = feel good, right? Whether you want a manicure, pedicure, color, or a luxurious shampoo and cut... the salon can be a source of great relaxation. You can sit back and enjoy being pampered, or chat with a stranger. It's a nice treat to talk about fun topics with someone new who knows nothing about your life as a caregiver. As much as we need to talk about it, it can be equally nice NOT to talk about it for a couple hours. My favorite place to get a fresh look when I need a pick-me-up is Bella Hair. Order the biggest popcorn and find yourself the best seat at a matinee. Movies are a great way to unwind. Enjoying a movie alone means you can zone in entirely, and sit through the credits if you like. You are on no one's time but your own. Exercise is great for your physical and emotional health. As you age, your body feels more stress from physical strain and care-giving can be very physically straining. Yoga is both relaxing and provides a good work out. If you don't belong to a gym or the Y, walking the mall or the local trails can be a great way to get some physical activity too. Ask us how we can help you get your much needed alone time. Aging with Grace provides flexible hours of companionship. Click below to request services!